Scrivener is the only word-processing programme designed solely for writers. NaNoWriMo and CampNaNo participants are offered discounts for the programme. If you are struggling to get your head around this powerful program, the next workshop in the 2016 series of Christchurch Writers’ Guild workshops is just what you need. This practical session will get you off the ground on how to use Scrivener, with some of the basics and more advanced features explored. All participants are expected to have their own laptops with Scrivener installed (trial version is okay). It is also recommended to have the Kindle Mobi extension also installed, but not necessary. Our Guest Speaker is Judy L Mohr: writer and freelance editor with Black Wolf Editorial Services. Judy has always hated using MSWord, so when she started writing her high fantasy novel, there was no way she was going to use MSWord. She first started writing in Latex, but quickly discovered the limitation in output formats. When she discovered Scrivener in 2014, she quickly made the switch and never looked back. Now all of her fictional writing is in Scrivener, along with the writing she does for the various blogs she contributes to. In this session, Judy will share with us some of the tricks that she’s learnt over the years on using the software programme specifically designed for writers. You can learn more about Judy and her personal writing endeavours at www.judylmohr.com. Pre-registered members will receive additional cool stuff (ie: resources) in their email prior to the event, so don’t delay, pre-register today! Not a member of the Christchurch Writer’s Guild? Not a problem. There’s no time like the present. Join here. This entry was posted in Workshops and tagged scrivener, Workshops. 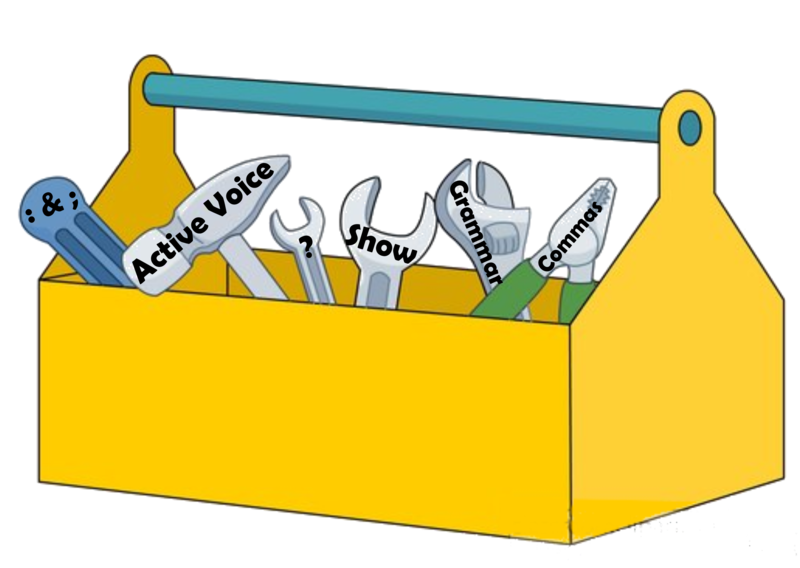 There are many different tools that a writer uses within their trade. Now would be the perfect time to brush up on those skills. 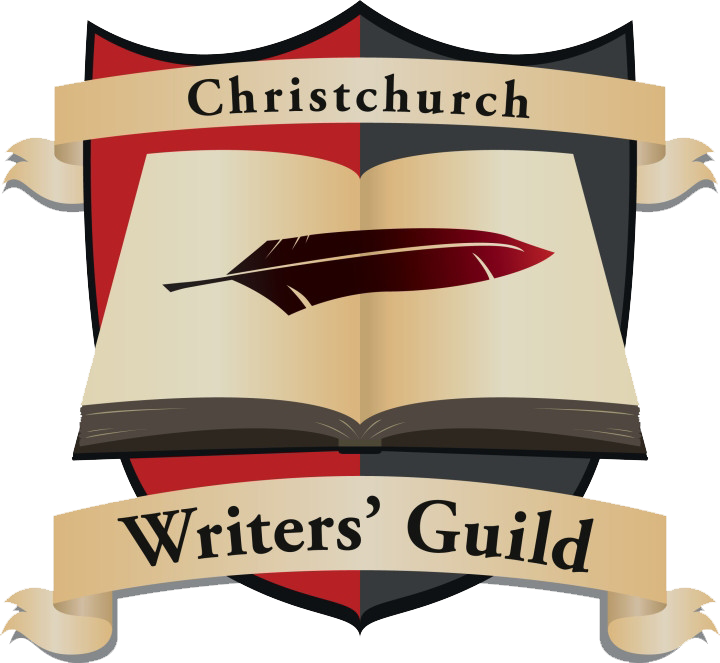 Then the next workshop in the 2016 series of Christchurch Writers’ Guild workshops is just what you need. Brush up on your basic punctuation and grammar. Get a refresher on colons and semi-colons. Learn the differences between the dashes. Remember the differences between different sentence structures. Remind yourself about the differences between active and passive voice. Get it straight in your head the differences between show and tell, and when it would appropriate to use each. Whether you are a new writer, just starting out, or an established author, it can always help to have a reminder of those common tools of our trade. Preregistration is now open. Please note that preregistration does not guarantee a place within workshop. The places will be strictly limited to 25 people. Door sales only. Members must have membership code with them to receive discount. This entry was posted in Workshops and tagged editing, Grammar, workshop. Our second full-day workshop for 2016 was on Marketing, something we independently published authors really need to focus on. In this modern day, it is very easy to publish a book, but with millions of titles readily available, it is very hard to make your book stand out, very hard to make it shine. Deb Donnell has been in the writing business for most of her life – she first indie-published as a teenager – and she developed the Writing Diamonds program in 2008, helping writers to release the books they have trapped inside. She is also very savvy in the digital world. Her small publishing house, Keswin Publishing, has a particular significance to us in Christchurch, as it produced the fine books you can see above: Responders and the two Christchurch Comparison books. Deb Donnell began her presentation by first talking us through the branding process. To become successful as an author, you do not so much have to sell your book, as sell yourself. Having a connection with your potential audience is more likely to draw people to click that “buy” button. 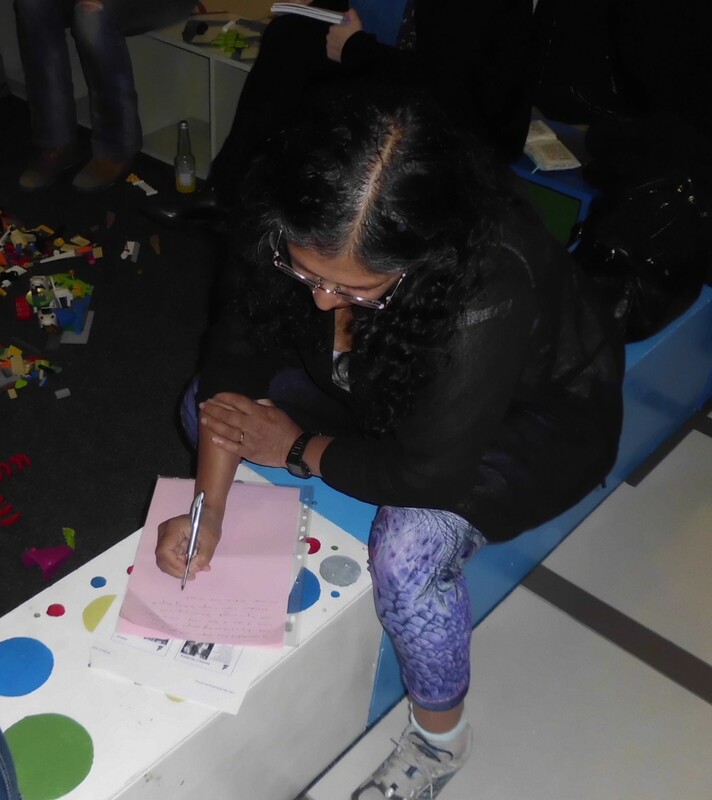 She talked us through the various social media sites, sharing insights on ways in which we could connect with the audience and find the sort of people that are likely to buy our books. We also learned a little about how the traditional publishing industry, too, has changed with the times. And why, and how, to treat self publishing as a legitimate business. Nicola Mauchline’s beautifully set-up display. We then paused for our first interval, giving the opportunity for our market vendors to promote their wares. Our mini-market had five vendors: Angela Oliver, with her array of postcards, books and other assorted memorabilia; Nicola Mauchline, with her romance novels; Justin, and his 11-year old son, Jasper, and their delightful adventure story; Shelley Chappell with her collection of retold fairy-tales, and Jenner Lichtwark with her vampire and mystery novels. After the break, it was time for us to start some practical exercises, as we looked into author bios, learning the importance of consistency and keeping it relevant, as well as having a specific call to action. After bios, we turned our attentions to blurbs, learning how to make them grab the attention of the reader, given how little time potential readers will spend reading the back of a book. She also touched briefly on getting your books into bookstores (chances = slim), but we will focus more on that in a future blog post. Our heads over-flowing with information and our hearts filled with inspiration, we then broke for lunch, after hearing from our final two market vendors (and drawing the second prize in our merchandise raffle). Judy prepares us for some Twitter fun. For our afternoon session, our presenter was Judy Mohr. Judy is an editor with Black Wolf Editorial Services, and has been fully immersing herself in the Twitter-verse, as she works on her guide to “Twitter for Writers”. 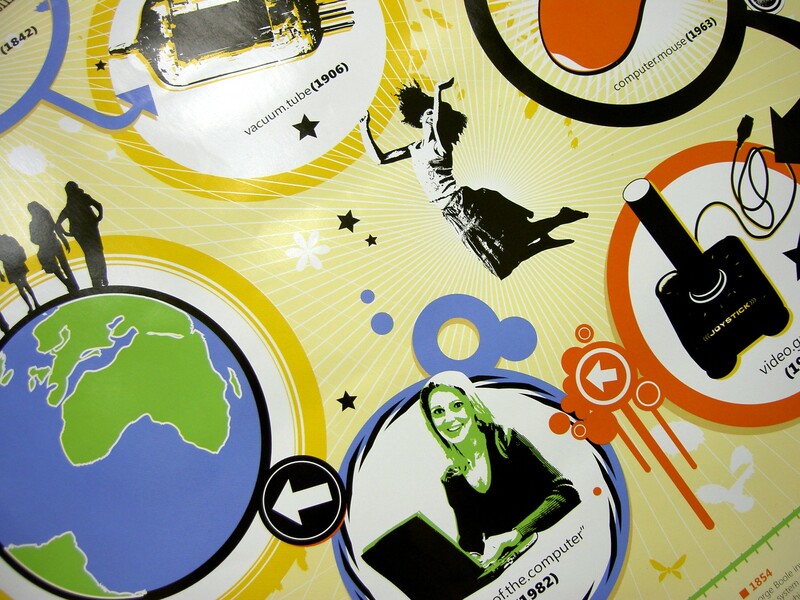 She is also well-versed in other forms of social media and how these can be used to increase your internet presence. After discussing, in greater depth than Deb, the various available social media platforms and which ones work and don’t work as promotional platforms, we then were encouraged to indulge in some Twitter fun. You can find Judy’s handouts on this page. I think one of the important lessons I learned from this exercise was that tweets are ephemeral– I’ve always been a little nervous about what I tweet, especially through the official Guild account – but Twitter is not something to be afraid of, no more than Facebook or any other social media. And it’s very easy to have some fun. #chchwriters Wouldn't want to be the ball boy in this game of tennis! 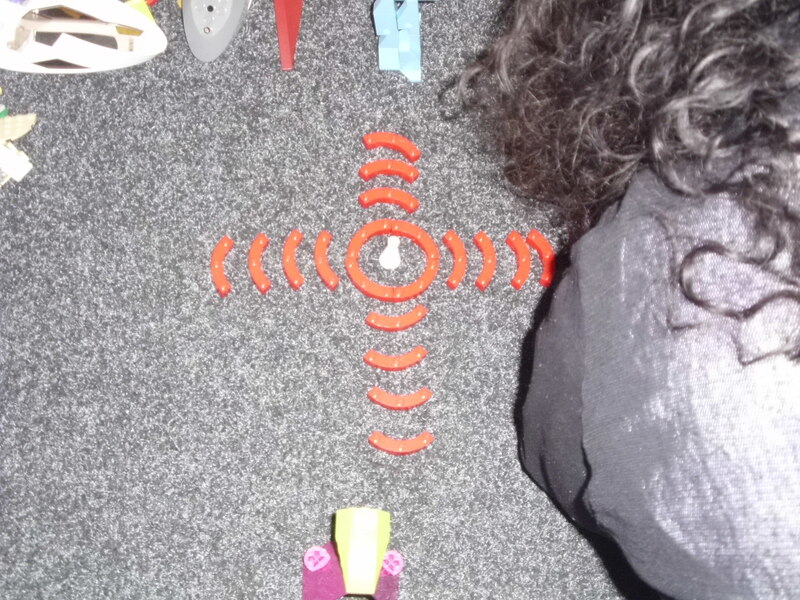 This entry was posted in Workshops and tagged marketing, twitter, Workshops. As part of the May Marketing workshop, we are hosting a mini-market, in which a selection of local authors, and other related talents, will be selling their wares. These stalls will be Cash Only, so please consider bringing along a bit of extra money ($20-100), and support the local talent. If you wish to join the market ($10 a table), visit this page for further details. Deb Donnell’s stall from our Developmental Editing workshop. Angela is known for her quirky and unique style of animal art. She will have a selection of wares, including her two books: Aroha’s Grand Adventure and Fellowship of the Ringtails (for today, $20 each), plus art cards originals (from $10), postcard prints ($2 each) and more! 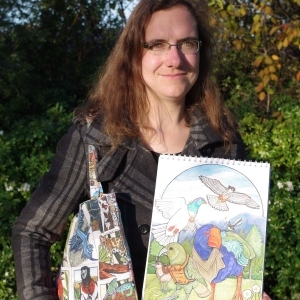 Shelley Chappell writes fairy tales and other fantasy fiction for all ages. She is the author of a range of short stories and novellas, including Beyond the Briar: A Collection of Romantic Fairy Tales for young adults and adults (for sale at the market today, at the special price of $15). One reader describes Nicola’s writing as “deeply personal and provoking” and that you can feel the author’s heart in her books. The beginnings of Nicola’s first novel, Her Long Goodbye, were born out of her own dance with love, but three years on it has turned into much more. Nicola had thought she would only write one book, however in July she will be releasing Her Long Wait. This book is the final book in the romance trilogy, Her Long Goodbye, and will be the fourth book in four years that Nicola has released. Nicola mainly writes romance, however she has also written a Christian non-fiction book about thriving and is currently working on a fictional/non-fictional book based around the Christchurch earthquakes. Limited copies of Nicola’s books will be available for purchase at the Marketing Workshop, with further copies being available at the Her Long Wait book launch, scheduled for July. The books normally retail for $18 each, however during the Marketing Workshop, she will be selling Her Long Goodbye and Her Waiting List $15 each and Called to Thrive for only $10. The Adventures of Jasper and Sharkcrock in Magictopia. Jasper Harrison: Born in 2006 in Christchurch, New Zealand. He has had a love of books from a very early age. His love of adventure, and an active imagination have combined to produce this, the first book in the Magictopia series. Magictopia is his world. By the way, he was only 6 years old when we wrote this! Justin Harrison: Born in 1975 in Tuatapere, New Zealand. Had a lot of fun working with Jasper on this, helping to bring Jasper’s many fantastic ideas together. Copies will be available for sale on the day. RRP$15, but a special price of $10 per copy for the workshop. Jenner Lichtwark (writing as J.L. O’Rourke) writes mystery for all ages. Her YA urban fantasy Severn series sees murder, kidnapping and vampires backstage at a local theatre company, while her adult mystery Power Ride is the first of a series of cosy murders set around a Christchurch rock band. Blood in the Wings, Chains of Blood and Power Ride, and her children’s book Agatha by Airmail, will be available at a special price of $10 each. 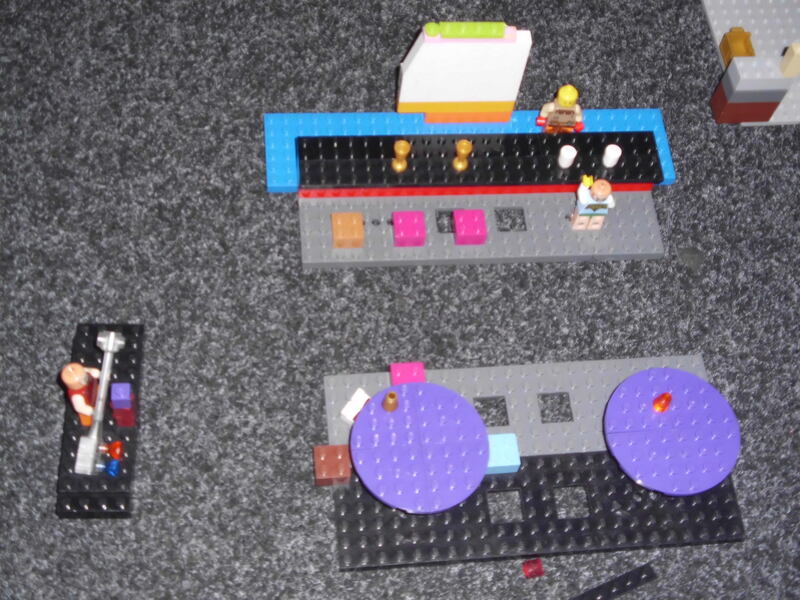 This entry was posted in Workshops and tagged market, vendors, workshop. Are you a self-published writer but struggling to get your work noticed? Are you a new writer just trying to make a name for yourself? Are you confused about the term author’s platform? Are you a daunted by the beast known as social media? This workshop is a day of hands-on excitement, with the odd informative session thrown in for good measure. Whether you are a new writer, just starting out, or an established author, but struggling to make heads or tails of the new marketing technologies, then this workshop is for you. The full programme for this workshop can be found here. As part of the workshop, we will be hosting a Workshop Market, where published authors and other industry professionals will have their books and other products on display for purchase. It’s all about marketing, so what better place to do it. You can find more details about joining the Workshop Market here. Or meet the vendors here. 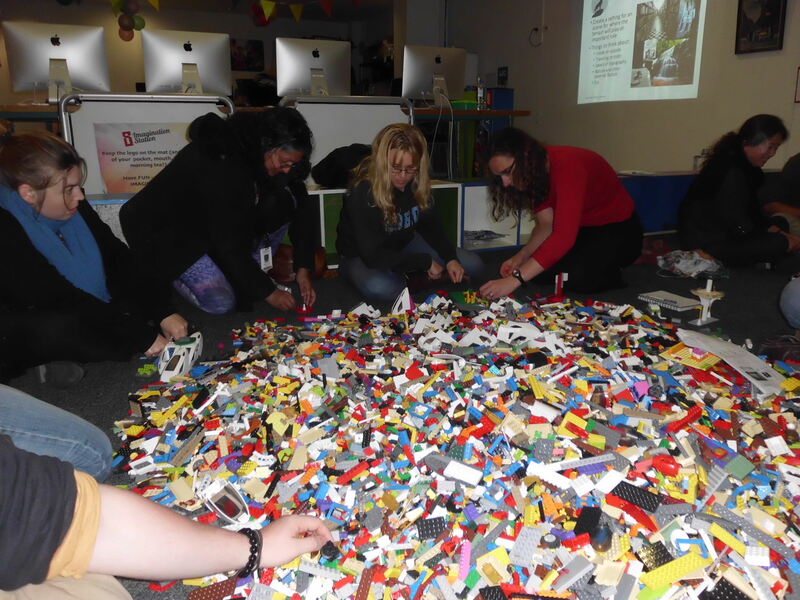 On Wednesday, March 16th, 2016, CWG hosted our World Building workshop at Imagination Station. Boy, oh boy… So much fun and full of laughs. From word go, the workshop was not what people expected. 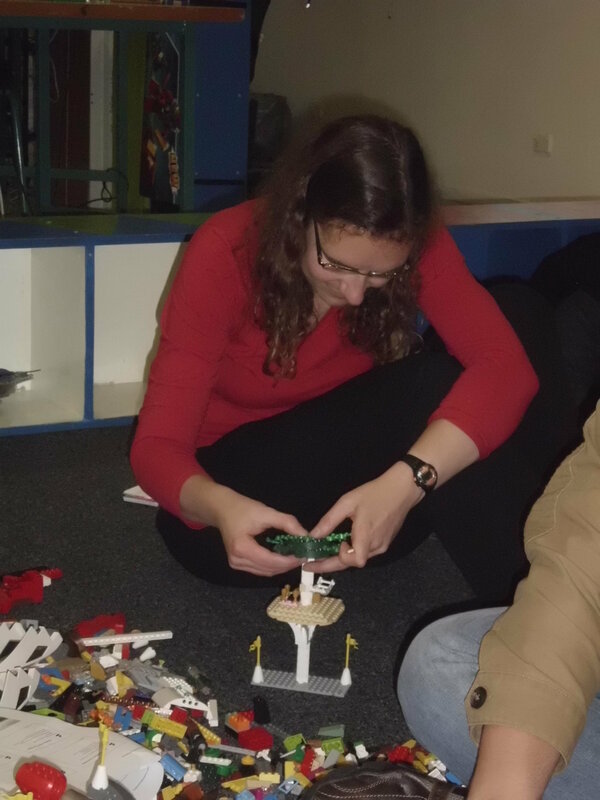 So many came in and sat at the tables scattered around the place, not realising that when we said that we would be playing with LEGO, we meant it. It was a hands on experience, literally building our worlds. “Into the pit every get, and start building that setting that is playing around in your heads.” So into the pit everyone went and the creations began. Some were contemporary and modern, while others were futuristic and dsytopian. Others were classic fantasy, and a few took us back to the beginnings of time itself. There was the abstract and the real. Every flavour of design was represented, but it wasn’t about the setting alone. So is that what the Spark satellite meant to look like? World building, as many writers know, is about every aspect of the world that your characters live in: politics, religion, societal norms, customs and belief, not just the physical setting. Every aspect needed to be examined. So as the ideas started to flow, the thoughts were applied to paper. The religious figure heads that tell us lies to maintain our obedience were ousted for who they were. The societies that rely on those who live on the lower levels were revealed. The office space that was so full of furniture that the characters were tripping over themselves came into light. And the trees that seeded the mist were discovered. Ideas streamed forward and we had to get them on paper. 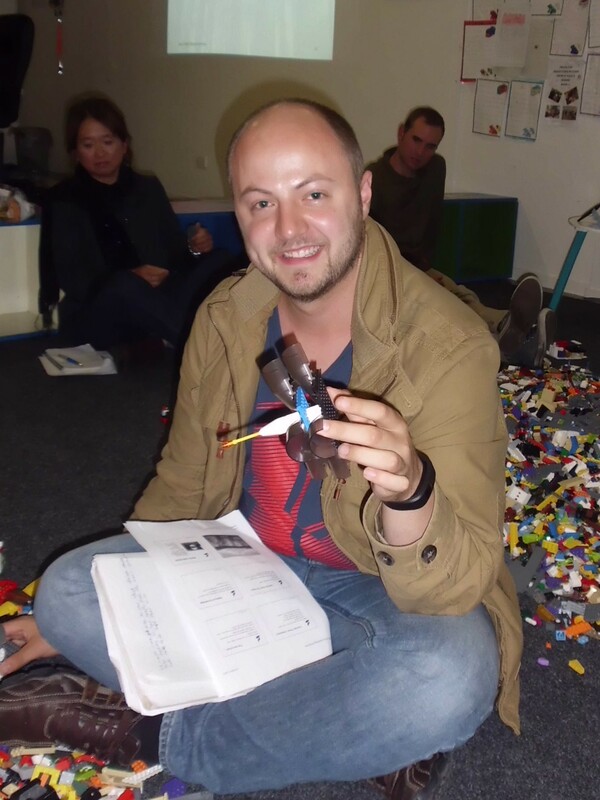 Like all things within a writer’s repertoire, LEGO helped this small group of writers to free their minds to the possibilities of their complex worlds. 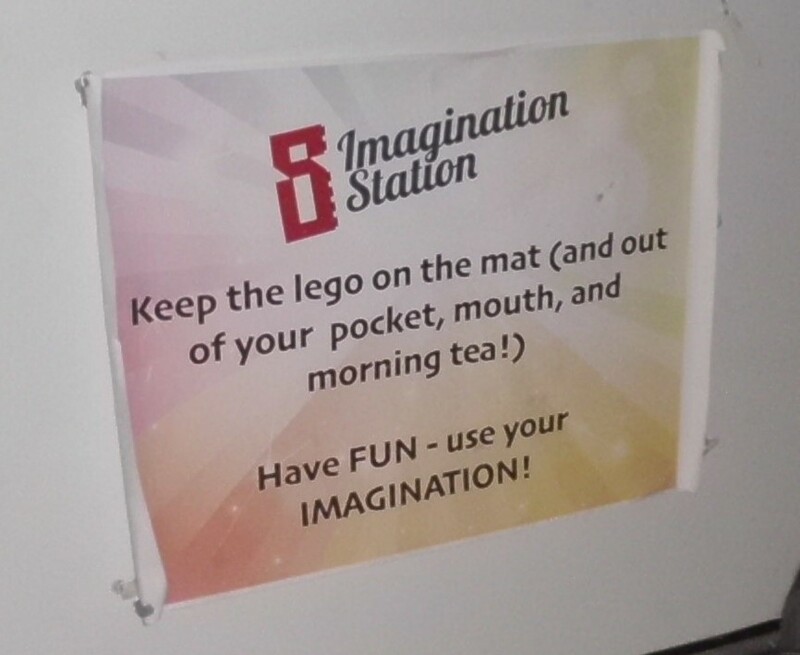 I know a few of them will visit Imagination station again, just to keep the ideas flowing. Just don’t eat the LEGO! Come and join us on Facebook or Twitter. If you liked this post, you can find others like it here.